After finding out certain uncomfortable truths at the end of Earthfall: Retribution, Sam Riley and his friends think they know everything. They think Earth has simply been caught in the middle of an interstellar war between the Voidborn and the Illuminate, and that mankind is an irrelevant part of an epic battle that has spanned the galaxy for millennia. They believe they have survived the zombification that has rendered the rest of humanity inert because they have been experimented upon in preparation for this moment. They barely know the half of it. Having barely recovered from the last foiled Voidborn attack, humanity suddenly faces an even worse foe. The Primarch has arrived in orbit of Earth, but he is not a new threat. Indeed, he is the main threat, the one behind Earthfall, and with the planet on its metaphorical knees, the time is right for him to reveal his endgame, and bring it to fruition. To defeat him once and for all, Sam and his friends must embrace the Illuminate technology they have been gifted – but to do so, and to win, will not be without sacrifice. 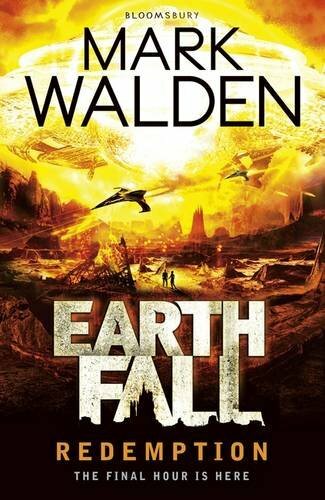 The stakes were already so high in the previous two Earthfall books that Mark Walden would always struggle to raise them much higher without making it practically impossible for his half-dozen mortal human heroes to succeed (to defeat an entire alien menace established to be nigh on unstoppable) in convincing fashion. As such Sam and his friends really do become reliant on outside help, in a two parts Iron Man to one part Power Rangers kind of way, and the humanity does get quite lost at times. 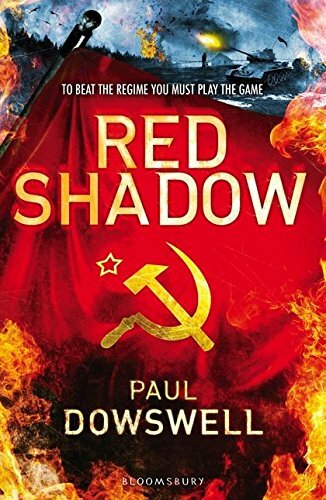 Fast-paced and filmic, with set pieces that could be levels of a video game (there are definite similarities with the Resistance games), this series has clearly been aimed at perhaps more reluctant readers, especially teenage boys who could easily be distracted by 101 other things. On that level, it’s a success, regardless of whether there’s anything particularly original here or not. Ever since Jess’s brother Liam left, her and her mother’s lives have become irredeemably miserable, with her mother’s boyfriend Terry forcing Jess to film him as he beats hell out of her mum. Terrified, but just as terrified of letting that show, Jess has no one to talk to, no one to ask for help. Nobody listens when you’re a poor kid living on a dead-end estate, not even the best friend who lands you in trouble to save herself. Nicu does not go to school, but then, Nicu does not do most things that other teenagers in Britain do. His Romany parents aren’t planning to stay in London for long. Indeed, as soon as they can arrange a marriage for Nicu, they’re going back home. In the meantime Nicu can help his dad selling scrap metal – some of which might not actually be theirs to sell. Duly caught, Nicu is forced to go to school, but also do community service, where he meets a similarly isolated girl named Jess. This is a romance with sharp teeth. 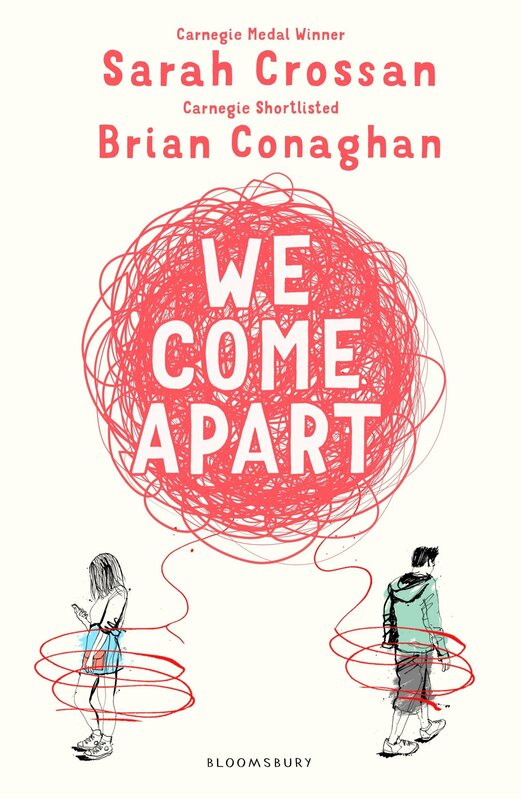 It’s not really about love, but about how two people are driven together from circumstances that couldn’t be more different on the surface, and who are both trying to tear themselves away from an existence they can’t tell anyone about – except each other. I’m not so cynical about novels written in blank verse since reading Sarah Crossan’s One late last year. 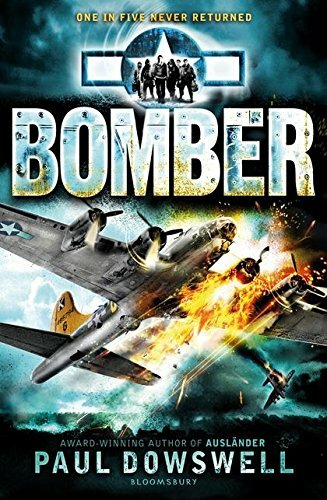 This one has more grit and edge than One, perhaps brought out by her collaboration with When Mr Dog Bites author Brian Conaghan. I don’t know who wrote what, whether they each took a character, or worked on both together, but it works seamlessly. The ending is a bit abrupt, but probably appropriate. Jess and Nicu’s stories could continue, but they’d go somewhere new, and that’s not what this novel’s about. I wouldn’t mind reading that one, though, even if there are no plans to ever write it. London’s teenagers have been successfully medicated. 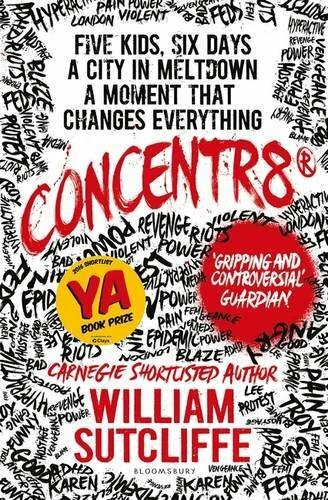 Concentr8 is basically Ritalin on, er, speed, and Blaze, Troy, Karen, Femi and Lee have all been taking it for as long as they remember. It’s been so successful in reducing trouble, however, that a cash-strapped national government has forgotten why Concentr8 prescriptions became so ubiquitous in the first place. So they pull the plug and cut off the free supply. And then the rioting kicks off. In the midst of the chaos, Blaze and his friends make it all the way to City Hall. An encounter with one of the mayor’s underlings is only averted from ending in a stabbing by becoming a hostage crisis. But over the next five days, as the novel delves into each of its protagonists’ perspectives, it slowly becomes apparent that perhaps they’re not all up to being kidnappers after all. Indeed, most of them are just going along with it because they believe all the others are completely committed to seeing this thing through. It’s unclear whether this novel is aimed primarily at adult or YA readers. The behind the scenes political and journalistic shenanigans away from East London are probably of little interest to the latter, whilst a tale of teenagers swept up by the herd but finding their own sense of individuality in the middle of it is probably of little interest to the former. There are probably also too many perspectives (seven or eight – I lost count – in a novel that’s under 250 pages) to really get to know any of the characters very well. That said, it’s a very visceral and pointed response to the 2011 riots in London, and William Sutcliffe doesn’t play it safe, make any obvious arguments, or find any neat, cosy solutions come the end. He took a potentially risky decision to make most of his kidnappers black teenagers, but ultimately the true division here is not one of race at all, but the good old British class system. He turns things on their heads in the second half in an interesting way, so whilst there might not be any true villains in this story, there aren’t any true heroes either. I’ll admit I approached this one quite sceptically. I’ve read a couple of novels in blank verse before and never felt it added anything. I would go so far as to pin my cynical, philistine colours to the mast and say the only way I could tell they were supposedly poetry rather than prose was because the line breaks were in funny places. That it didn’t add anything to the book didn’t necessarily mean it detracted anything, of course. This one, though, is different. I can’t say why because it would spoil the story (slight though it is), but coming out the other end, finding out the real reason why those lines broke where they did, I don’t think it could or should have been done any other way. Pretty much every line is lyrical – an image, a feeling, a metaphor – but its layout on the page is ultimately significant too. 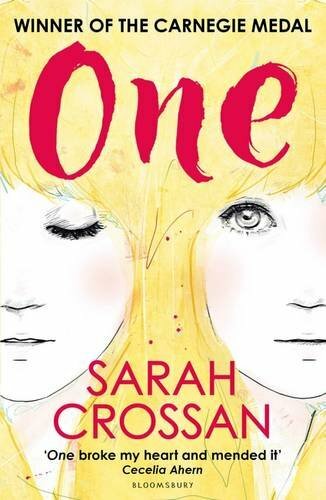 One is the story of Grace and Tippi, conjoined twins who have made it into their teens, which means they have to deal with all the usual teenage angst whilst physically connected to someone who’s in love with a different boy. Sarah Crossan doesn’t shy away from any of the awkward details. Grace and Tippi know everything about each other. But then, they always have done. Real life continues around them, of course. Their father struggles to find work and is a secret (though increasingly less so) drinker. 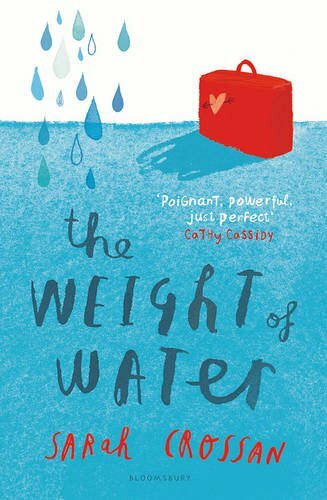 Their sister, who silently accepts that her dreams and needs must take second place in this family, slides into anorexia. And that’s before Grace and Tippi meet any of the other outsiders of which the rest of the world is full of, too. Even with the best of Western medicine behind them, few conjoined twins survive into adulthood, and health problems mean Grape and Tippi need to be separated. One will become two, and Grace, always the quieter of the pair, isn’t sure whether she has enough of her own identity to survive apart from Tippi. 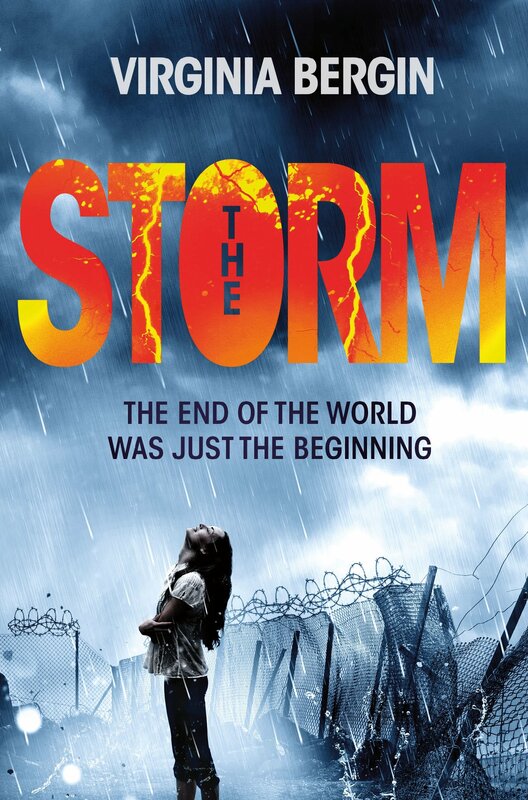 This YA novel won the Carnegie Medal, a prize that has come into a bit of flak for some of its choices in recent years. I doubt anyone would argue that One‘s victory hasn’t done a great job in repairing any dents in its reputation entirely, though. Elliot is scared of pretty much everything: loud noises, dogs, Santas, people in general, actually. The outside world is largely out of bounds seeing as it is full of ‘monkems’ (everyone except his mum and Aunt Shirley). Elliot’s fear is a beast kept in check by a diet of pills – they don’t kill the fear; they just stop the fear of the fear completely consuming him. When a mix-up with his prescription means he runs out on Christmas Eve, his aunt agrees to find a pharmacist who can ensure he won’t spend Christmas Day getting lost in a maelstrom of terror that’s really just inside his head. When Shirley doesn’t appear and Elliot’s mum goes out to find her, Elliot must wait at home, alone, until one of them comes back with his pills. But neither of them do. Elliot is faced with a terrible choice – stay and face the terror at home, or venture out in the hope of defeating it. Despite being told in a breathless first person present tense voice that really captures the relentless churn of crippling anxiety, the book was quite slow to get going – Elliot takes the better part of 100 pages (and it’s a short novel) just to make it out of the front door, as every little trigger sets his terrified brain off and he needs to find a way to cope with the tiniest of worries that suddenly seem like insurmountable obstacles. Whilst that leaves it a quite accurate depiction of worry running completely out of control, what Elliot encounters when he finally gets outside almost makes his anxiety seem justified: not one but two armed stand-offs in the space of 50 pages, a drugged-up bank manager joyriding around the streets and the resulting police chase, plus a kidnapping and hostage situation. 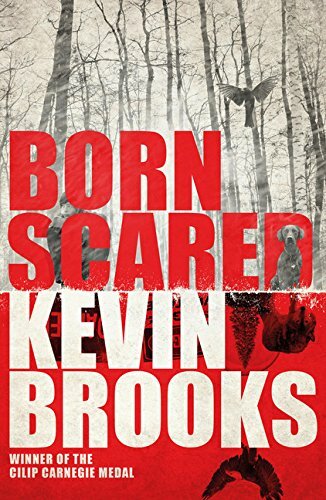 These thriller elements were all well handled too, but they made it feel like two good books joined together that didn’t quite come together to make a great whole. Between the fall of the Medicis and the rise of Borgias, Florence descends into quiet anarchy, its partisan citizens bitterly divided, neighbour pitted against neighbour, as various forces try – and usually fail – to assert their dominance. Amidst all this polite chaos, where symbols and gestures come to matter all the more, the arts flourish. Dandyish hasbeen Leonardo Da Vinci flounces around with his all-male entourage, trading off a reputation starting to fade (and being forced to accept commissions to paint women with enigmatic smiles) whilst baiting the young Michaelangelo, whose skills as a sculptor even Leonardo cannot match. When Michaelangelo’s milk-brother (i.e. the son of his old wet nurse) Gabriele comes to Florence, bored of his bucolic lifestyle and seeking all the pleasures a virile youth can find in the city, Michaelangelo finds the young boy has grown into a young man who would make the perfect model for his statue depicting one half of the battle between Goliath and David. Gabriele finds everything he wanted in Florence, including plenty of trouble, as tensions between republicans, pro-Medici supporters and lingering followers of the mad monk Savonarola boil over. At any other time he could hide in the crowd, but that proves a bit difficult when he has the most recognisable face in Florence. 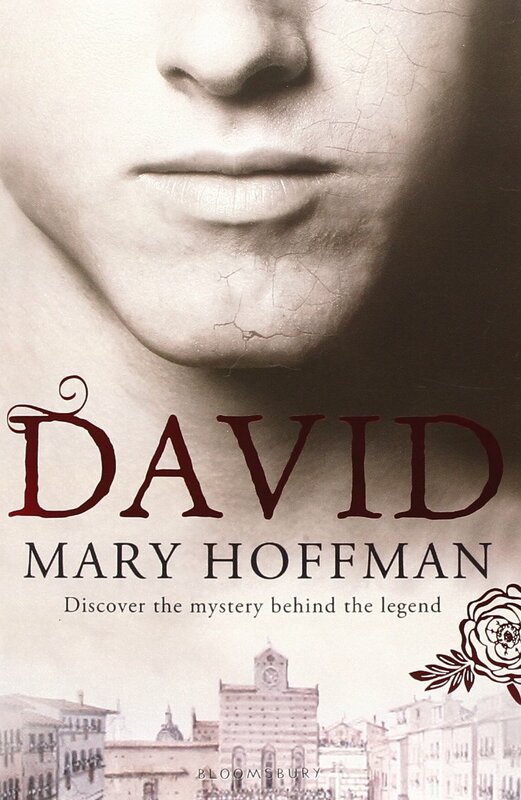 Mary Hoffman has written such a colourful, exuberant version of the impact the Statue of David had on Florence that it’s frankly a pity the majority of it is completely made up. Despite its convincingness as a historical novel, at its heart is a timeless young adult story that revolves around Gabriele following his trousers around the widows and servant girls of Florence, and aching for a good scrap. It may play fast and loose with what the most likely version of events (though there is the hint of a cocky challenge from Hoffman that implies it’s up to the reader to prove things didn’t happen exactly as she’s described) but the spirit of the Renaissance captured here feels very honest. The novel is a celebration of art, intellect, passion and open-mindedness over money, tribalism, superficiality and monkish attitudes.